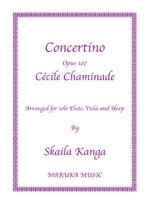 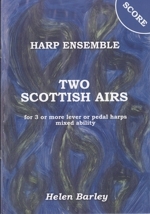 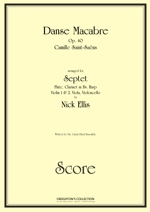 A set of four solos for harp beginners written for the Connecticut Chapter of the American Harp Scoiety Student Harp Competition, 2000. 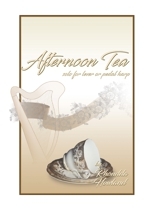 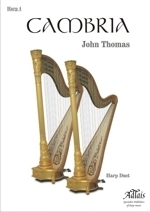 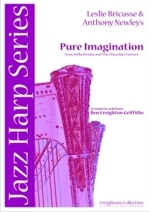 Intermediate level harp music: A set of three solos for lever harp, two of which are also arranged for flute & harp and a fourth piece which is a duet. 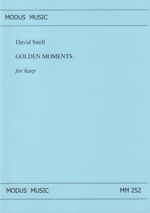 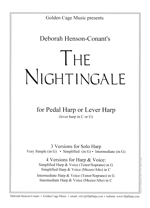 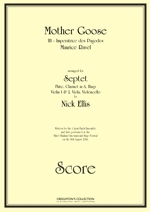 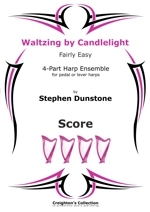 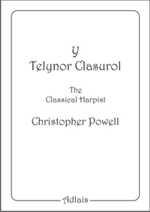 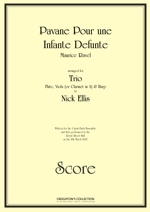 Intermediate pedal harp music: A set of three solos for pedal harp, two of which are also arranged for flute & harp and a fourth piece which is a duet. 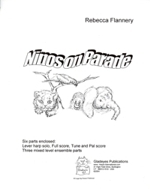 Niños on Parade is intended to inspire new harpists to play with other people early in their studies. 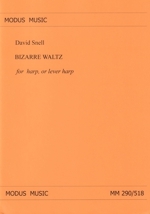 With Diamond note heads used to mark lever changes and X note heads indicate that the harpist taps on the sound board. 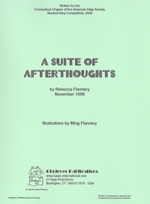 As the student learns she/he may progress to learning more advanced parts. 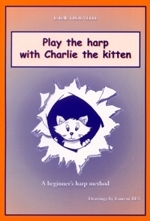 Teachers may use their discretion to simplify the tapping rhythms in the Nino Tapping Part (for young or new students) as needed. 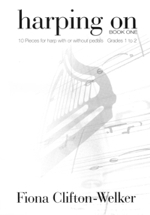 The Tune Part is stemmed on the presumption that the student can place and play thumbs and 2nd fingers as a minimum. 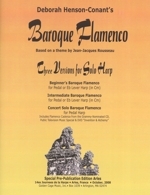 The part can be re-fingered for more advanced students.